Zewail City Career Fair is a one-day employment and internship event that provides a forum for cultivating and developing productive relationships between our expected graduates and senior students and the corporate world. The main objective of the event is to integrate the organizations’ recruiting needs with the skills and qualifications of Zewail City students. The Career Fair gives the participating companies an opportunity to build their image on campus among a qualified pool of Zewail City graduates and senior students and allow them to select the best candidates for their internship and employment opportunities. This year we are celebrating our first graduating batch from the engineering majors together with our second batch of science majors. The event will host 50+ leading firms and organizations in the region offering career opportunities to more than 500 specialized students from science and engineering majors. ElSewedy Electric is an energy player structured to face the challenges of the world’s fastest growing markets and the complexity of the critical electricity industry. From its start, deep product and sector specialization and unprecedented insight into local markets set the ground work for first mover advantage into new markets and sectors. METITO, founded in 1958, is an international engineering group specializing in custom design and manufacturing of water treatment, wastewater treatment and desalination equipment for industrial, commercial and municipal applications with project management capabilities for turnkey projects worldwide. With almost six decades of experience in some of the world's most arid areas, METITO has developed into a leading organization in the design and supply of water / wastewater treatment and desalination systems. With operational departments governed by proper QA / QC procedures, as well as hundreds of successful installations to its credit METITO has grown to become a world leader in its field. Pharco is the largest manufacturer of pharmaceuticals in the MENA region, focused on research, formulation, manufacturing and commercialization of pharmaceutical products. Today Pharco employs over 8,000 employees, and has over 630M packs produced in the year 2016 — ranking as the leader in the Egyptian pharmaceutical market. Pharco also exports to 47 countries around the world. Pharco works towards one goal is to provide highly effective and safe pharmaceutical products to patients at an affordable price. P&G serves nearly five billion people around the world with its brands. The P&G community includes operations in approximately 70 countries worldwide. P&G-Egypt was established and built its factory in 6th of October Industrial City in 1986. Over the past 32 years, P&G-Egypt has consistently grown into one of the country's most vibrant and successful international companies.The Company has one of the strongest portfolios of trusted, quality, leadership brands globally. 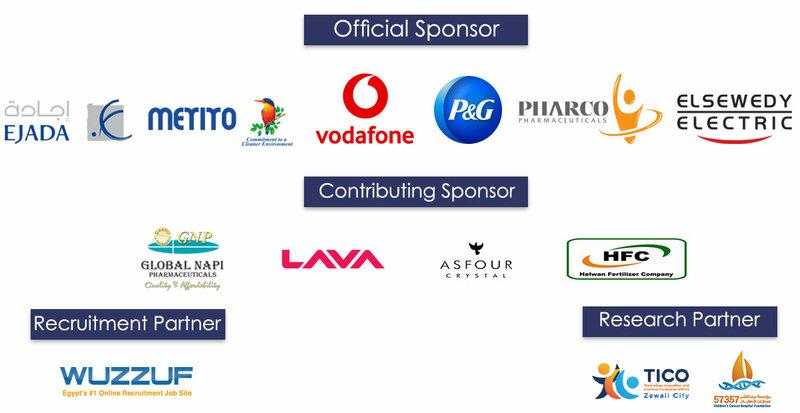 The Company's brand portfolio in Egypt includes: Ariel, Tide, Bonux, Lang, Downy, Fairy, Pampers, Always, Head & Shoulders, Pantene, Pert Plus, Herbal Essences, Safeguard, Gillette, Braun, Oral-B, Crest and Olay. Vodafone Egypt entered the Egyptian market in 1998, providing Telecom services & solutions. In 2006 Vodafone Egypt launched its off-shore operations “VIS”, dedicated to outsourcing business processes & IT services, with over 3,000 employees who collectively speak 10 different languages to provide world class customer & technical support in 80 countries. Vodafone has become the leading mobile operator in Egypt, not only in revenue share but also in customer base, serving more than 40 million customers. Vodafone has invested over EGP 35 Bn in Egypt. In October 2016, Vodafone acquired the 4G license against an investment of EGP 3.5 Bn. Vodafone contributed with more than EGP350 million. To the community development, through Vodafone Egypt Foundation. Vodafone Egypt was named “Ideal employer” for 6 years in a row directly employ over 10,000 Egyptians, creating over 70,000 indirect employment opportunities. ASFOUR Crystal International is a globally recognized name that is synonymous with unique quality and decades of dedication. Once voiced, the words ASFOUR Crystal International bring to mind images of precision cuts, unmatched clarity and luminous, colorful sparkle. With almost 60 years of experience in the field of crystal manufacturing, it’s easy to see why. craftsmen and progressed to run the business with top talented 3700 calibers utilizing the latest state-of the art technology of production machinery to being today one of the largest crystal manufacturers and exporters of full-cut lead crystal across the four corners of the globe. Currently, ASFOUR Crystal International is witnessing a significant expansion across all sectors & departments. For those ambitious, passionate & competent calibers who are looking for great career, many job opportunities are available in all disciplines in both administrative and technical levels. Global NAPI Pharmaceuticals (GNP) was established as a private investment company in 1997. Since that time, with a dramatic progress and respected presence in the pharmaceuticals market, GNP not only introduced to the Egyptian market its own branded generic formulations, but also established several license agreements with multinational pharmaceutical companies. GNP products are covering a wide range of therapeutic areas, with almost 100 GNP brand names in tablets, capsules, solutions, syrups, ointments, creams, gels, and suppositories forms. Some of the local brands are market leader in their class. GNP is ranked No. 9 within the pharmaceutical companies by 2017. Helwan Fertilizers Co. (HFC) is an Egyptian shareholding company, established according to the private free zone and Subject to the rule of Investment Incentive and guarantees, Law No.8 of the year 1997 and Law No. 114 of the year 2008” and It’s executive code and resolution to perform is no: 2690/2004 Now it’s working according to Internal investment. 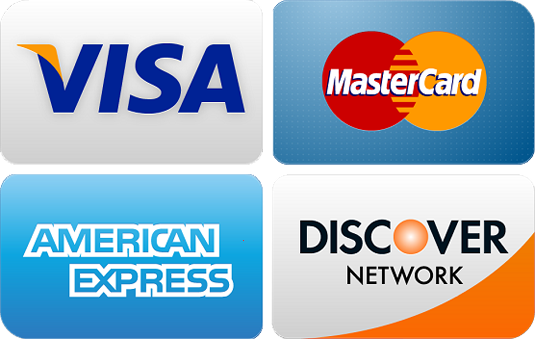 Authorized capital US$ 700 million. Paid - up capital US$ 150 million. Project investment cost US$ 316.75 million. The Company specializes in the production of urea fertilizer 46.5 % Nitrogen and ammonia which is an intermediate product. - OHSAS 18001 / 2007 for Occupational Health and Safety. Our growth story, over the last 8 years, is built on a solid foundation of culture and values. Every day our people, systems, processes as well as our partners follow one guiding principle; ‘Empowering People’, to do more to be more. All our actions revolve around our vision and we do it with the help of our core values: Integrity, Adaptability and Passion for excellence. Backed by our Research and Development Centers, we produce highly reliable products and services with the help of our manufacturing units based at India and China. Continual awards and recognitions for being the most trusted Indian Brand and also for having the best Customer Service Standards and performance only give testimony to our customers’ and our own faith in our vision. 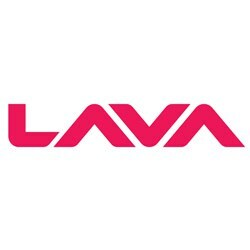 Lava has established operations with leading presence in major emerging markets including India, Middle East (UAE, Saudi & Kuwait), Thailand, Bangladesh, Nepal, Pakistan, Myanmar, Sri Lanka, Russia, Indonesia and Mexico. Our channel partner strength has grown to more than 300,000 retailers and to 2000 distributors globally. In Egypt, we are committed to make valuable and reliable yet affordable mobile technology accessible to the market and community. We plan to introduce our highly reliable mobile products customized to the needs of Egyptian people to empower them to do more and be more. WUZZUF is Egypt's #1 Online Recruitment website when it comes to hiring high-quality calibers and university educated professionals and graduates. Since May 2012, they successfully served 10,000+ top companies and employers in Egypt, 1.5 MILLION CVs were viewed and 100,000+ job seekers directly hired through them. 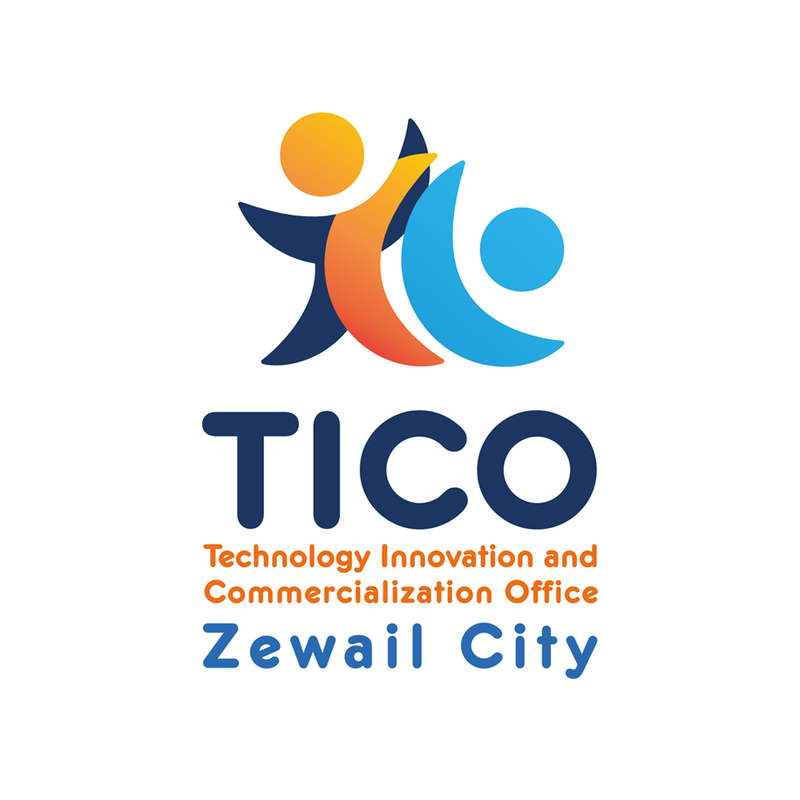 TICO-ZC is responsible for providing a rich and appropriate environment for researchers and students to conduct innovative and safe research protect their IP rights, commercialize their research products to fill the gap between research and industry. The Association of Friends of the National Cancer Institute (AFNCI) of Egypt has gained national and international recognition as an NGO committed to improving the quality of life for all cancer patients. The AFNCI has provided the National Cancer Institute with equipment and programs exceeding 20 million LE. The NCI Board of Directors and Administration were committed to both facility and program improvement, but lacked the necessary funds and expertise and so were pleased to cooperate with the AFNCI to achieve their aims for better patient care and facilities. The major project of the AFNCI has been to build a state of art of a pediatric oncology hospital that would be fully equipped to meet the unique needs of children with cancer. The achievement of the Children’s Cancer Hospital Egypt 57357 project is equal to only a few in the last few decades in the world and is certainly considered as one of Egypt’s crowning achievements in the last 60 years. CCHE - 57357 has set the standard for a new era of the healthcare in the developing world as well as new standards for charity. Following the model of the ST. Jude Children’s Research Hospital in Memphis, Tennessee; CCHE - 57357 was completely funded by donations and will be sustained by donations.